While you’re resting your legs from a long day on the slopes, why not add a bit of sightseeing to your holiday? Queenstown is located at the heart of New Zealand, with easy access to most of the South Island’s top destinations. All of these scenic drives can be done in a day, though some (such as Mt Cook Village and Milford Sound) are more suited to a multi-day excursion. The quaint historic mining village of Arrowtown is a wonderful heritage destination just outside of Queenstown. This is an easy day trip, or even a suitable afternoon excursion. Check out the boutique shops and historic mining cottages in the picturesque downtown. Buckingham Street is the heart of Arrowtown’s historic centre, with a procession of heritage buildings lining the road. You will find cafes, restaurants, boutique shops, galleries, and more in the town centre. Gold panning is a fun activity for the whole family! There are several places in town where you can hire a gold pan. You will then be shown where gold can be found so you can get started! The historic Chinese settlement just outside town is a great place to learn more about the way life used to be. This partially restored settlement has a number of signs to give you more background to the buildings that remain. Glenorchy contains some of the Queenstown region’s most spectacular scenery. Just 45 minutes up the road (plus extra if you visit any of the viewpoints past the town), this is a very accessible destination. Lord of the Rings fans are sure to recognise the white-capped mountains and deep forested valleys from the films! Halfway up Lake Wakatipu, the road goes around a bend and the northern end of the lake suddenly appears. A pulloff here invites you to stop for a view. It’s unforgettable, with the turquoise lake spread before you and lofty peaks crowded around the valleys of Glenorchy. The township of Glenorchy is very modest, though there are a number of cafes and restaurants which make excellent lunch stops. Paradise Valley is the filming location for what Lord of the Rings fans will recognise as Isengard. Nestled at the edge of Mt Aspiring National Park, this valley is breathtaking. The best views are found from the Paradise Trust (ask for directions in town, as the turnoff is easy to miss). The Routeburn Track is the next turnoff past Paradise Valley. This Great Walk is closed in winter, but you can still enjoy a stroll through the beech forest at the start of the trail. Kinloch Lodge is almost directly opposite the township of Glenorchy, and provides a different perspective on the region. Sip a coffee in their rustic cafe, or enjoy a stroll along one of the tracks at the end of the road. If you don’t have time to ski in Wanaka this time around, a day trip over the Crown Range to Queenstown’s neighbouring town might persuade you to choose Wanaka for your next visit! Wanaka is a quieter, more laid-back version of Queenstown, with all the views and buzzing ski-resort atmosphere. Arrowtown (see above) is along the way to Wanaka, so you could easily combine the two destinations into one day. Once you pass by Arrowtown, the road quickly begins to climb up the Crown Range. A viewpoint at the top offers panoramic views over the Wakatipu Basin, and there are several other scenic stops along the way. 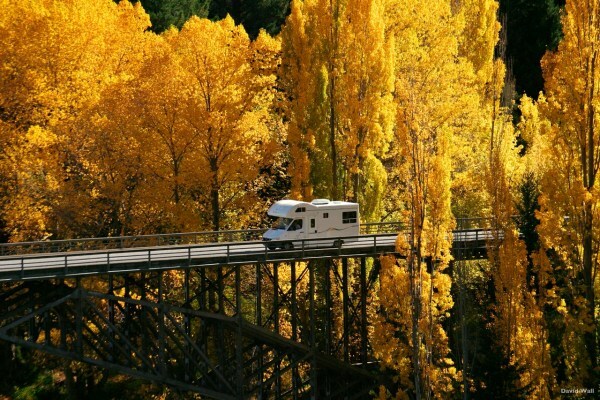 Cardrona is a tiny township along the Crown Range Road, located just at the foot of Cardrona Alpine Resort. While you’re there, visit the historic Cardrona Hotel for a refreshment or taste the unique sprits at Cardrona Distillery. Or, if you’re still in the mood for a bit of snow, visit Snow Farm for the chance to go tubing and tobogganing on their slopes! Wanaka is just 25 minutes past Cardrona. While you’re there, check out these other Wanaka activities, or simply soak in the atmosphere with a meal at one of the excellent restaurants. You might want to spend a night in Mt Cook Village after the long drive. But if you’re up for it, this scenic day trip packs a lot of New Zealand’s best scenery into a short amount of time! Along the way, you’ll be able to check New Zealand’s highest mountain and largest glacier off your list. As you make your way past Arrowtown, you will soon reach the Gibbston Valley of Vines. Numerous wineries line the road, and most of them offer tastings (and often tours as well). 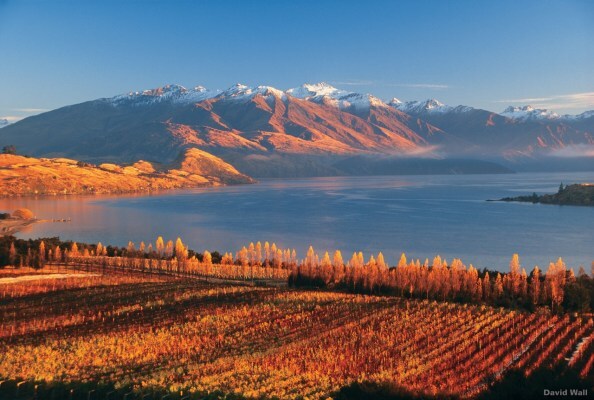 If you want, you can even make a full-day tour of wine tastings in the Gibbston Valley! The historic Kawarau Bridge marks the end of the wineries. It’s an interesting historic piece in its own right – but more interesting still are the bungy jumpers constantly throwing themselves off the bridge! Watch them have a go, or even try it yourself. The Kawarau Gorge continues from there, with a turquoise river churning far below. The Goldfields Mining Centre, located within the gorge, is a great way to experience the rich history of this region. Take a look at the historic houses, learn about the challenges these miners faced, and even try your hand at panning for gold! Lindis Pass is the next scenic highlight, with a great lookout over the golden hills nearby. You’ll want to check ahead of time to see if you need to bring your chains for the drive over. Just before Twizel, the High Country Salmon farm is a fun place to stop and look at the fish. If you’re getting hungry, you can buy a sample as well! Lake Pukaki is not long after that, with fantastic views across the lake towards Mt Cook. If the weather is good, you might want to continue along the main road for a little longer for the best viewpoints. 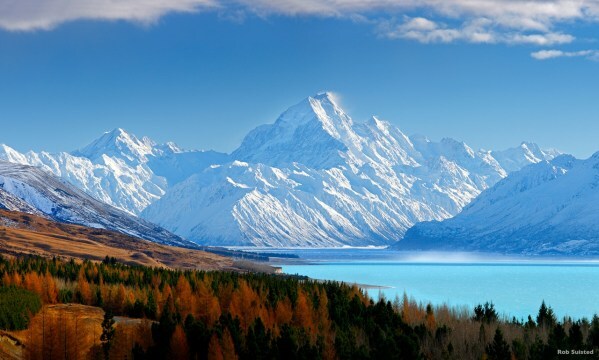 Mount Cook Village is located at the end of a road that follows Lake Pukaki into the heart of the Southern Alps. Nestled at the foot of Aoraki/Mt Cook, New Zealand’s highest mountain, the village is surrounded by fantastic alpine views. While you’re there, you could enjoy the scenic walk to Kea Point, or visit the Sir Edmund Hillary Alpine Centre to watch planetarium shows and films on New Zealand. While you’re there, be sure to make the short drive to Tasman Valley, where you can take a short 10-minute walk up to a viewing point over Tasman Glacier. There are icebergs floating on the terminal lake, and the mountains surrounding Tasman Glacier are every bit as impressive as the glacier itself. This lengthy drive is not really suited for a day trip, but it’s worth mentioning because some people do take on the challenge! 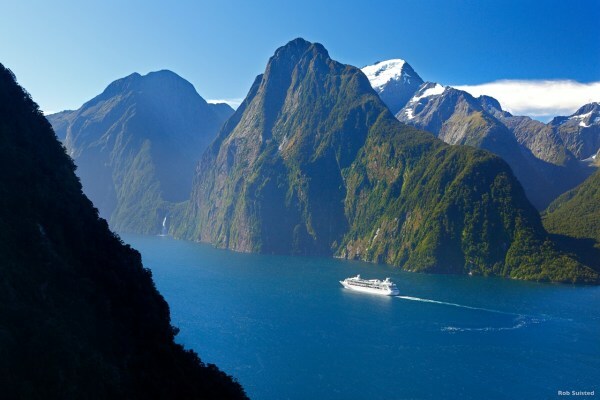 The best way to experience Milford Sound is with a two-night stay in Te Anau, which gives you a full day to enjoy the Milford Highway and the cruise through the fiord. If you really want to fit it all in one day, try booking a return tour from Queenstown, which allows you to relax during the long drive. The Devil’s Staircase, a row of jagged mountain peaks lining the southern shores of Lake Wakatipu, are your first scenic highlight. There are several stopping points along the road where you can get a good view. Te Anau is worth spending two nights at, since there are several local attractions that you won’t want to miss. First, the Te Anau Glowworm Caves are a great afternoon trip including a boat ride across Lake Te Anau. 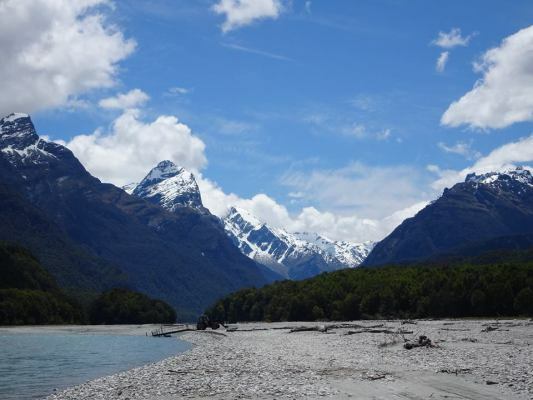 Second, there are a number of walks and hikes in the region that you may wish to check out – farther along the Milford Highway, Key Summit is the most famous of these. And third, one of the best ways to see the dramatic, near-vertical Fiordland scenery is with a scenic helicopter flight, which is a great activity to do if you have an extra afternoon. Continuing on, the Milford Highway begins north of Te Anau. This is one of the most incredible scenic drives in the world, and there are highlights all along the route. Keep an eye out for the signs marking these. Some of the best stops along the way include Eglinton Valley, the Mirror Lakes, Lake Gunn, and The Chasm. Milford Sound itself is the final highlight. Take a cruise (or kayak trip!) on the fiord to experience the grandeur of the soaring rock walls and thundering waterfalls, and you might be lucky enough to spot a few seals or dolphins along the way! In rain or shine, Milford Sound is an awe-inspiring sight.